Lower Port View – Saltash, Cornwall. Lower Port View is situated at Saltash in Cornwall overlooking the River Tamar. 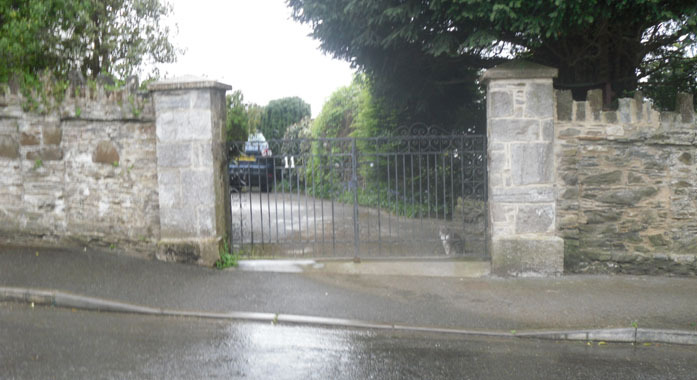 A delivery lorry had hit one of the gate piers to the entrance of this property which caused it to shift about 6 inches off of the granite plinth which formed its base and a section of the random slate walling to which the pier was joined to was also damaged during the impact. We were contacted and asked to re-build it. To ensure every stone went back in its original place, prior to taking it down we made a record of the positions of all the quoins stones. 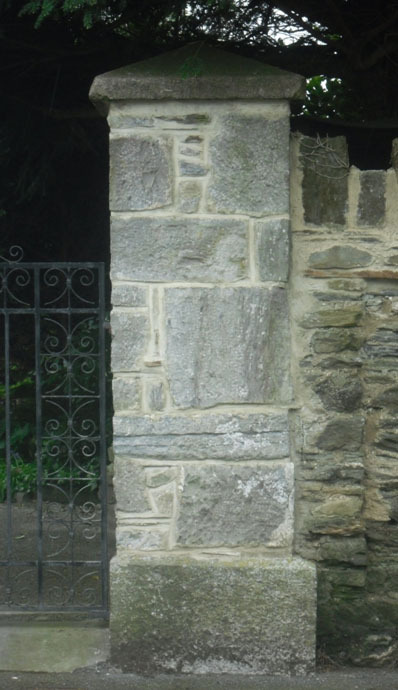 The original limestone quoins were then cleaned up and re-used again and the random slate walling was repaired also using the original stone along with hydraulic lime mortar. The original granite pier cap was set back on top, and the gates were re-hung.